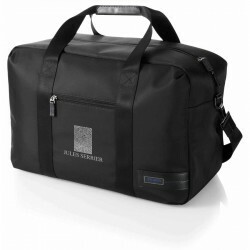 Branded travel & trolley Bags are useful executive travel gifts. Make sure your brand gets to travel all over the world with these promotional travel and trolley bags. 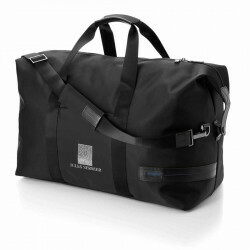 Designed for durability, these promo bags make ideal business gifts and giveaways during conferences and tradeshows. With your logo emblazoned across these travel must haves, you are sure to boost brand recognition and recall. 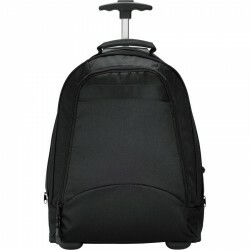 Check out the choices here at Promotional Product Experts which range from duffle bags to trolley backpacks. Products are made with tough quality material and can be custom decorated and shipped Australia wide. Contact our sales team for information on pricing and freight. 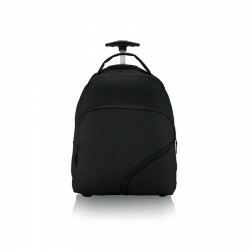 Curved handle, hidden wheels, backpack straps, zippered main compartments, two front compartments with internal pockets. Soft grip carry handle, all black in 600D polypropylene and rip-stop material. In polybag. 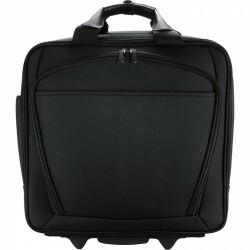 1680D nylon, with metal look wheels, aluminium handle and padded laptop compartment. 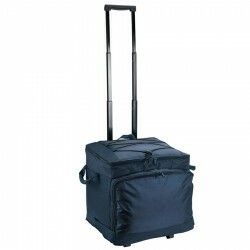 Classic style 25 litre, 600D double compartment extendable handle trolley case. 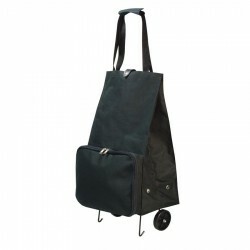 1680D nylon with metal look wheels, aluminium trolley handle, padded laptop compartment, extendable waist, front pocket with organiser, lined handle and removable shoulder straps. Strong, durable and easy to manoeuvre, this 2 wheeled 600D nylon shopping trolley has an outside pocket with zip and folds flat for storage. 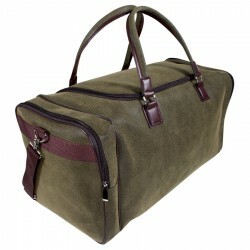 Textured PVC overnight bag with chrome fittings, with brown leather look carry straps and trims. With removable adjustable shoulder strap and two end pockets. Lined. 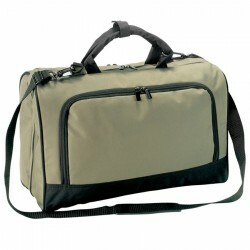 Compliments the expedition vanity bag and expedition cooler bag. 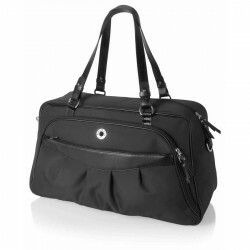 Stylish travel suitable for a variety of occasions. Microfibre. 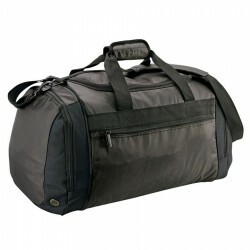 This intelligent designed travel bag offers a spacious and is ideal as a sports or weekend bag. Microfibre. 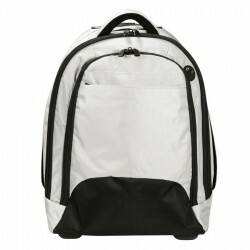 600D polyester with PVC backing, Large gussetted main compartment with zips down to base, Business card holder on back. Adjustable, detachable shoulder strap. Tubular carry handles, fabric cuff with snap closure. Pockets on front and back of bag contain assorted mesh and zip pockets. 600D polyester with 420D nylon panels. Insulated cooler with clear, removable lining. Retractable aluminium handle (96cm high when extended). Zippered front pocket. Side cargo handles. Bungee cord in top lid with cord lock.